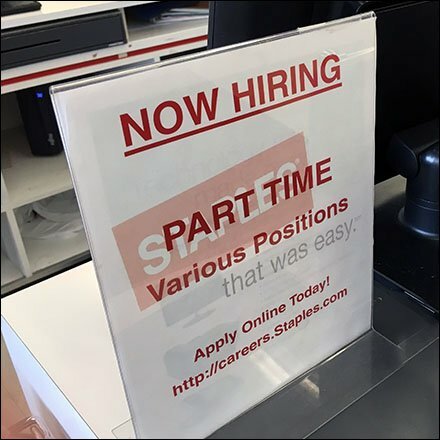 Part Time hiring must be pretty common at Staples for this employment outreach seamed pretty permanent. Watermarked “Staples … that was easy” ads a friendly note. See that applicants are offered online access as an application choice.